Prisca Vera Franchetti founded her namesake line, Priscavera in 2015. Since then, the emerging label has become one of the best young talents to watch during NYFW. Maybe most well-known for its signature sheer mesh dresses covered in flames, Priscavera has a cult-following that ranges far and wide. 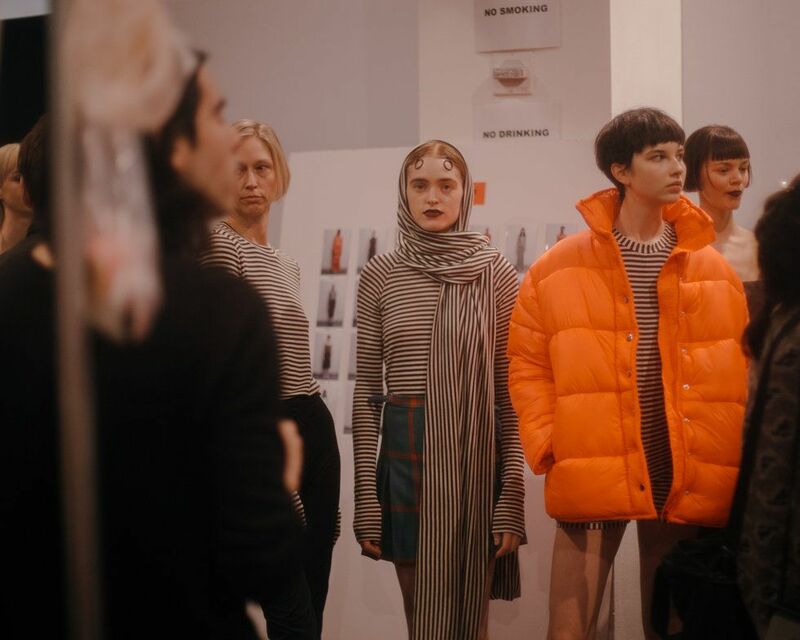 Here, everything you need to know about the fall 2019 show. The inspiration this season was the juxtaposition of heaven and hell; mild and wild. In terms of the mild side of things, there were soft white, grey and tan cotton pieces styled with decidedly ladylike opera gloves. 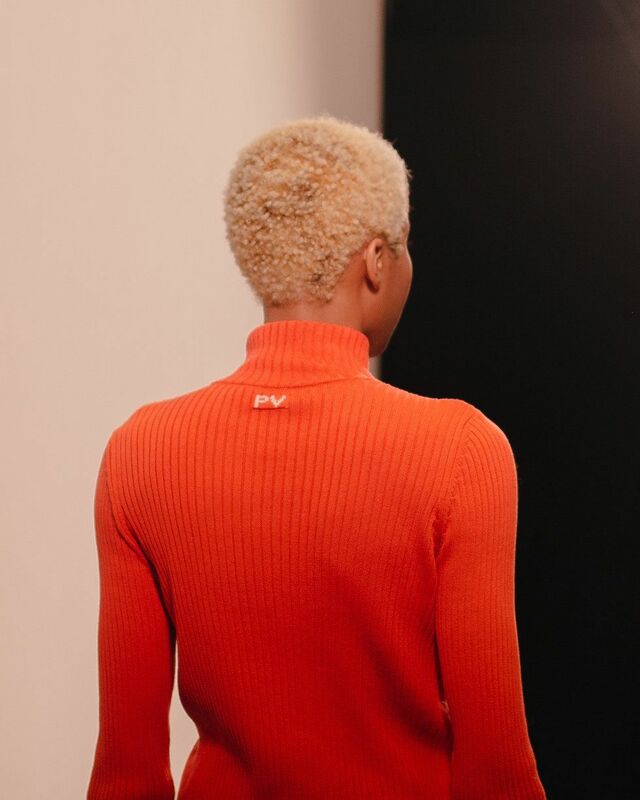 The wild side of the collection was easy enough to spot: burnt orange sweaters and their matching metallic counterparts, silky green slip dresses and the a windswept satin coral number that had all the drama you could ever imagine. 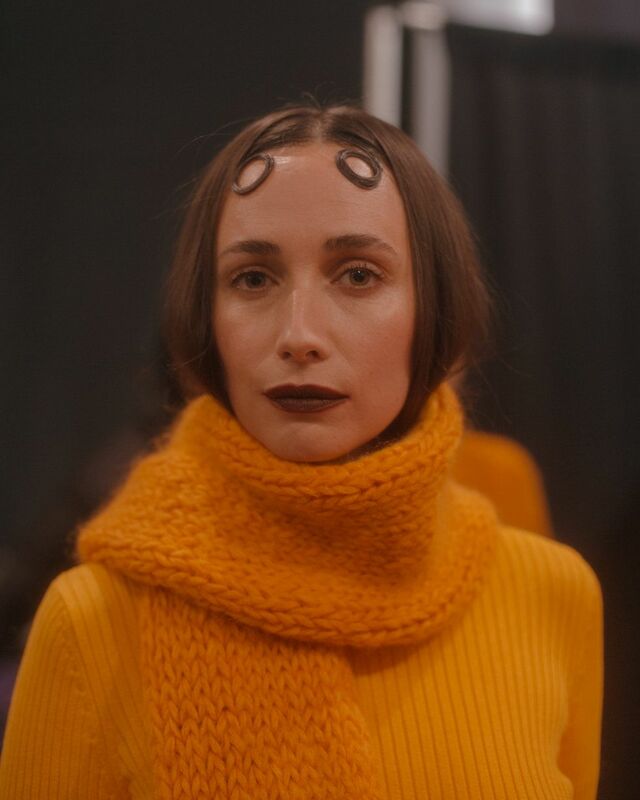 For the first time, Priscavera debuted its line of made in Italy knitwear. Blankets, scarves and sweaters in all the colors of the rainbow (and some neutrals for good measure) were seamlessly integrated into the collection. Considering the aforementioned transparent mesh flame dresses, Priscavera knows how to do see-through clothing well. Adding to that legacy, there was a clear rainwear set as well as a black ruched mesh dress and a plenty of translucent opera gloves. Chunky puffed jackets were definitely a defining silhouette within the collection. In shades of black and orange, the two pieces were styled as opposing aesthetics.